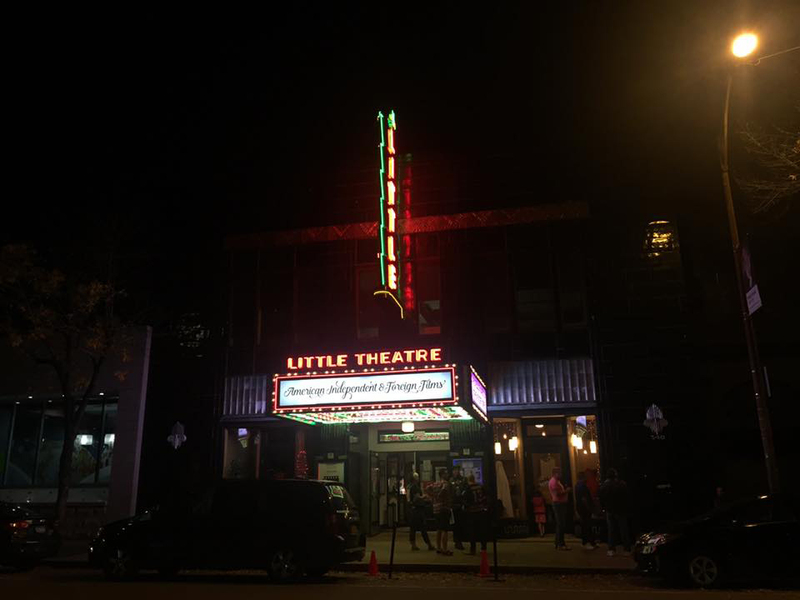 After spending most of our day at the Upstate New York Horror Film Festival, my friend (and co-reviewer) Josh Blodgett and I, drove across town, preordered tickets in hand, to the Little Theatre. Once there, upon receiving a Halloween poster signed by P.J. 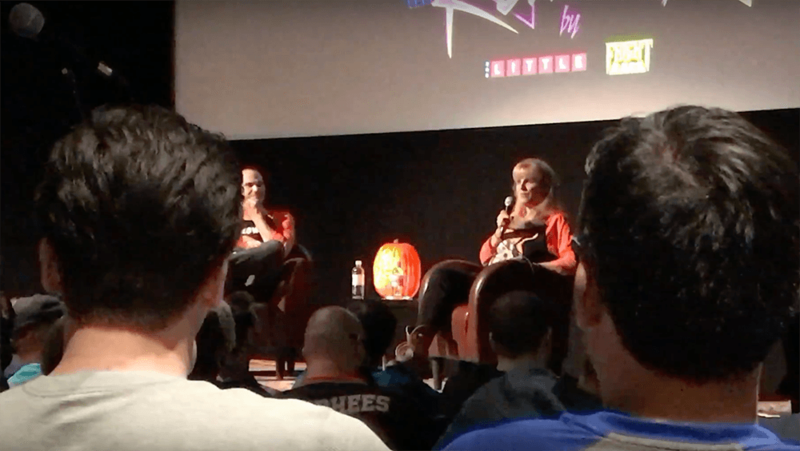 Soles, we got the chance to meet PJ, ask her questions, and view Halloween with her on 35 millimeter. The theater was crowded, and tickets had sold out. As we drove into the parking lot, we couldn’t help but notice that the line for the screening was out the door. However, by the time we finally got to the theater, after 10 long minutes of circling around in search of a space to park, and another 10 minutes or so of filming for our YouTube channel, the line was no longer snaking down the sidewalk and we got in quickly. Inside, the theater was stuffy and loud. People wearing Halloween shirts and holding Halloween memorabilia were everywhere. 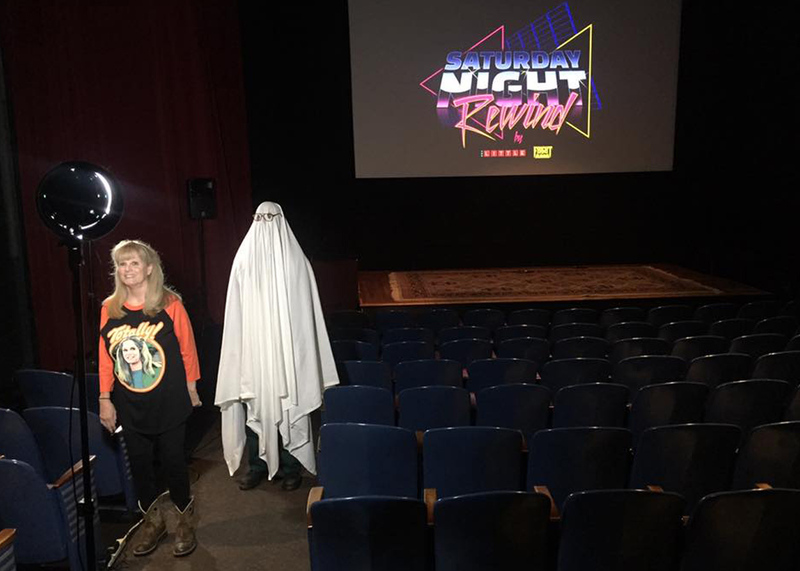 Many of the shirts, and some of the memorabilia we saw, were produced by Fright Rags, who, with the Little, made this special screening possible. We got into line before the film began to meet P.J. and to get a picture with her. We were both excited but nervous. Fast forward half an hour, and we were standing with P.J. next to a bedsheet-bespeckled Michael Myers getting our picture taken. Any nervousness about meeting P.J. melted away in that moment. She was so sweet and kind. We then found our seats and waited for the film to begin. The theater vibrated with all the people in it. When Ben, the founder and owner of Fright Rags, came on to the stage to introduce the screening and what we could expect, everybody cheered, shaking the seats. Ben started his introduction of the screening by sharing a personal story of how he first happened to see Halloween when he was just four years old. He shared how this accidental viewing shaped his future — and how it cemented Halloween as his favorite film. Next Ben talked about the short film he would be premiering prior to the feature presentation. 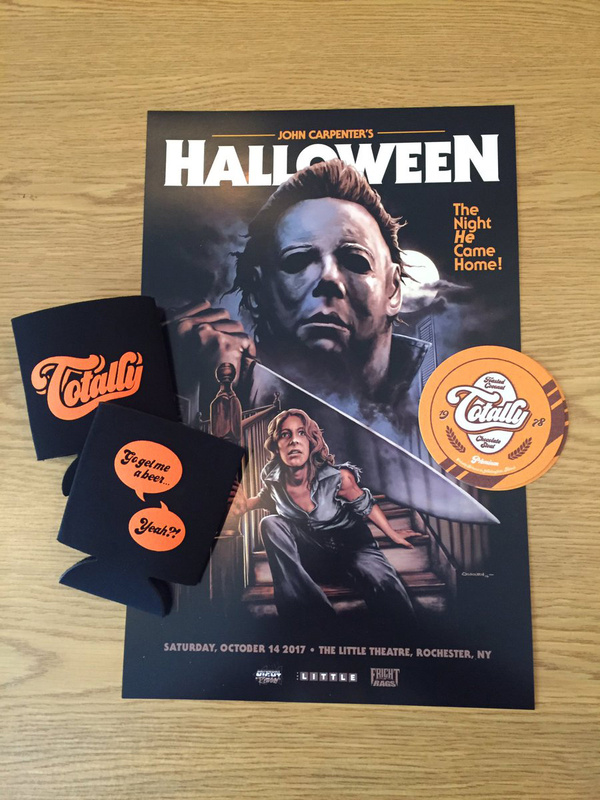 The short film addressed the question… what does Michael Myers do the day after Halloween? The short film was hilarious and had everybody rolling in their seats. It starred P.J. Soles and followed Michael going about his business on November 1st. Halloween, now nearly 40 years old, still holds up. Even though the film came out in 1978, and even though I’ve seen it over a dozen times, I still found the hairs on my neck standing up whenever Michael Myers made his presence known. And I know I wasn’t alone. This screening of Halloween was filled with people my age (21) and younger to people my dad’s age (56) and older. From listening to their conversions after the screening, many had found themselves at least somewhat frightened at some point during the film. Following the screening, a Q and A took place where many (including myself and Josh) went to one of the two mics situated in the two main isles of the theater and asked P.J. Soles questions. (You can see what Josh and I asked in the video we shot below.) Many of the questions centered around Halloween, while other questions centered on her roles in Carrie and Rock and Roll High School, among other films. P.J. answered them all with enthusiasm and a big smile. Finally, when it was time to go, Josh and I ran into P.J. one last time and she wished us well. We both left with big Jack o’ lantern smiles across our faces. Hats off to the Little Theatre, Fright Rags and most of all P.J. Soles. I doubt Josh and I will ever forget what happened on the night of October 14th, 2017.